St. Catherine’s Church and Monastery (i.e. St. Catherine of Alexandria, that is why the site is called Katarínka – little Catherine) is situated in the forests of the Little Carpathian Mountains in south-western Slovakia. The area belongs to the land register of the village of Dechtice lying 20 km north-west from the ancient town of Trnava, the central part of the Trnava Region. The church and the monastery belong to the Nature Reserve of Katarínka, that is part of the Protected Landscape Area of the Little Carpathians Mountains (CHKO Male Karpaty). Note: It is possible to click on objects in the map presentation to show an image or a description. Cars can be parked on the parking lot (see the symbol in the middle of the map) close to the border of the Protected Landscape Area of the Little Carpathians Mountains, and then you may continue the trip by walking or cycling. 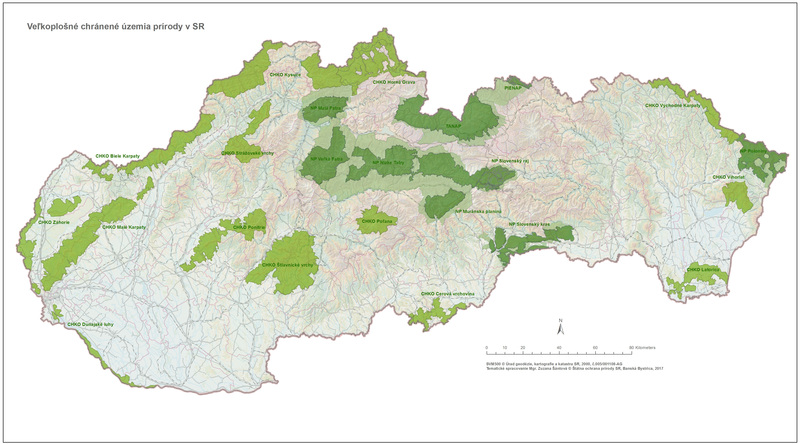 Access on foot (or by bike) only behind the border of the Protected Landscape Area of the Little Carpathian Mountains. Cars can be parked on the parking lot. The trail from the village of Naháč is marked using blue signs, estimated hiking time 0:40. The trail from the village of Dechtice marked using yellow signs, estimated hiking time 1:20. It is possible to get to the border of the forest by car. The trail from the village of Dobrá Voda marked using blue signs, estimated hiking time 1:20. The camp is situated close to the ruins behind the border of the nature reserve. For questions, feedback and requests regarding visits and guided tours at Katarínka please read frequently asked questions and answers first, or please contact us via email at visitors@katarinka.sk.